The World Health Organization has faced fierce backlash after telling people to replace butter and lard with ‘healthier’ oils in the New Year. A leading cardiologist today said he was ‘shocked and disturbed’ by the advice, which the UN agency listed as a tip to prolong people’s lives. 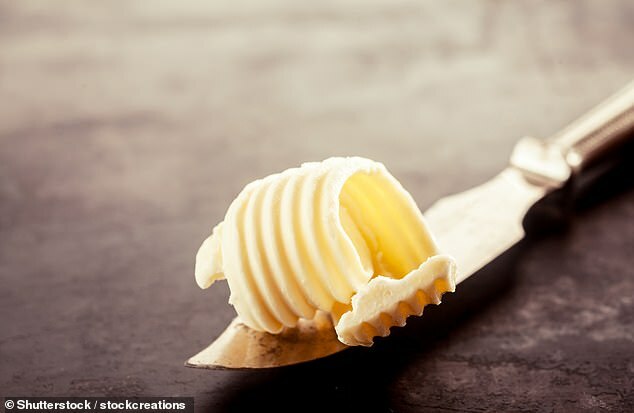 Butter has been demonised for decades over its saturated fat content – but an array of evidence is beginning to prove it can be healthy. 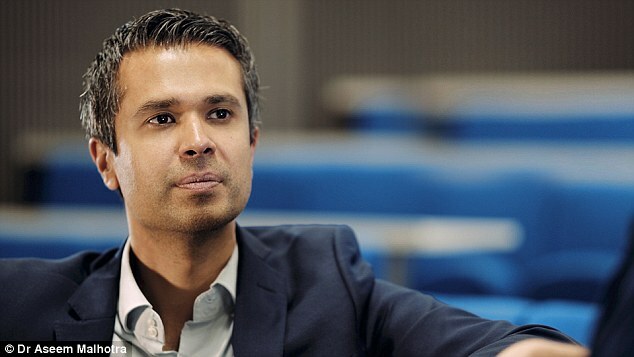 Dr Aseem Malhotra, an NHS consultant cardiologist, has now called on the WHO to review and update its guidance ‘as a matter of urgency’. He told MailOnline: ‘I’m frankly both shocked and disturbed that the WHO are giving incorrect and non-evidence based advice on fat. ‘In my view, asking people to replace butter or lard with industrial seed oils such as corn, sunflower, soybean or safflower will continue to cause harm to public health. Dr Malhotra pointed to studies which have linked heating up vegetable oils to a group of chemicals associated with cancer, heart disease and dementia. Research in 2015 found heating the oils produces levels of aldehydes far higher than the WHO’s own recommended safe levels. But the organisation now suggests using these oils instead of butter or animal fat, which tests have shown produce fewer chemicals but are linked to heart disease. Dr Malhotra added: ‘Conversely, natural fats found in nutritious foods such as butter, full-fat yoghurt and cheese can be very much part of a healthy diet. Dr Malhotra instead urged the WHO to focus on encouraging people to avoid consuming too much food that is ultra-processed. The WHO published its ‘Five tips for a healthy diet this New Year’ last week. It is currently the first story featured on its homepage. Saturated fats have been demonised since the 1970s after a major study linked them to high levels of ‘bad’ cholesterol (LDL). Several trials have since added fuel to the fire, by bolstering the link between the fat – found in butter – and boosted cholesterol levels. But confusion over the safety of saturated fat has intensified in recent years, amid studies that have shown the fat can actually boost ‘good’ cholesterol levels (HDL). The article also tells people to eat a variety of food and cut back on salt, limit sugar intake and avoid drinking too much alcohol. Under its tip on swapping out certain fats, it said: ‘We all need some fat in our diet, but eating too much – especially the wrong kinds – increases risks of obesity, heart disease and stroke. The WHO advice added: ‘Whatever your New Year’s Resolution, a healthy and balanced diet will provide many benefits into 2019 and beyond. ‘What we eat and drink can affect… how likely we are to develop health problems later in life, including obesity, heart disease, diabetes and different types of cancer. ‘The exact ingredients of a healthy diet will depend on different factors like how old and how active we are, as well as the kinds of foods available in the communities where we live. The WHO told MailOnline that its stance on telling people to replace butter would not change – despite the criticism. Several trials have since added fuel to the fire by bolstering the link between cholesterol levels and the type of fat which is found in butter. The fat has also been linked to dementia, by blocking the blood flow to the brain, and cancer, as it contains oestrogen which fuels tumour growth. But confusion over the safety of saturated fat has intensified in recent years, with studies showing it can actually boost ‘good’ cholesterol levels (HDL). Dr Malhotra, who describes himself as one of Britain’s most influential cardiologists on his own website, has a history of defending saturated fats. In a scathing video recorded for MailOnline in August, he slammed a Harvard professor who claimed coconut oil is poison as talking ‘unscientific nonsense’. The founder of campaign group Action on Sugar, Dr Malhotra alleged he was the victim of ‘dirty tricks’ by Public Health England back in September. He co-authored a book last year, called The Pioppi Diet, which contradicts the healthy eating advice offered by the Government body. Labour’s deputy leader Tom Watson has credited the diet – which saw him add butter to his coffee – for helping him lose 7st (98lbs/44kg).